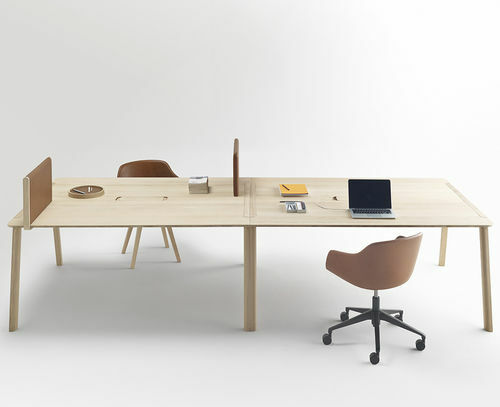 The Heldu range is available to furnish office spaces. Different modules of table surfaces can be joined together to create a variable length platform. 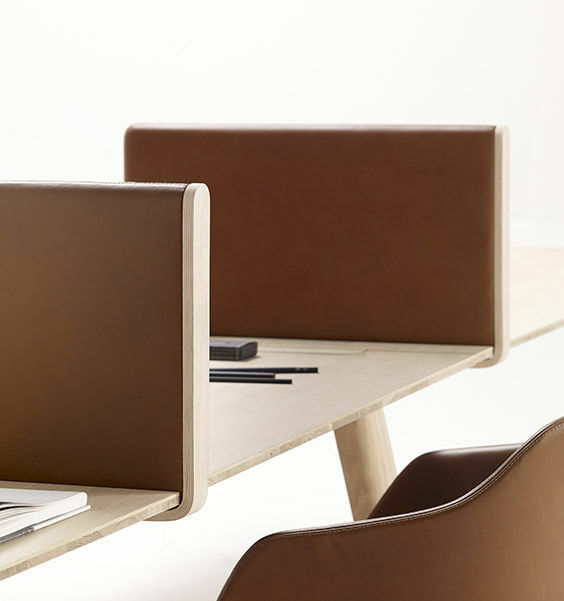 Mobile partitions enable workstations to be laid out quickly according to working requirements. 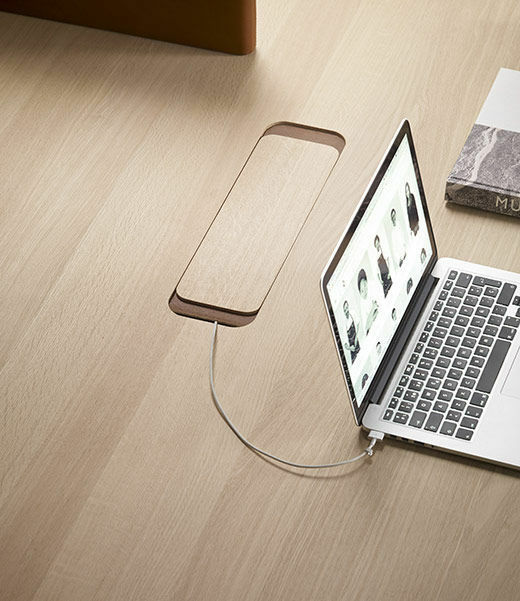 Electric wires run along the axis in a metal cable tray and power sockets are hidden by wooden and leather blocks. A desk lamp and tidy can also be fitted in the cavity. 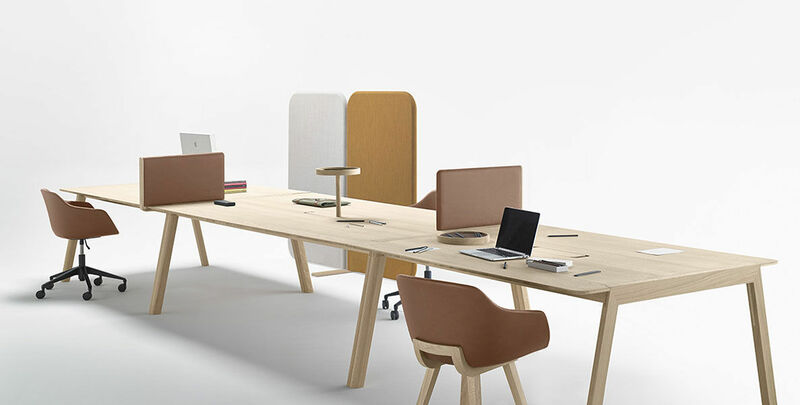 Vertical tabletop partitions complete the collection and enable space to be organised accordingly. 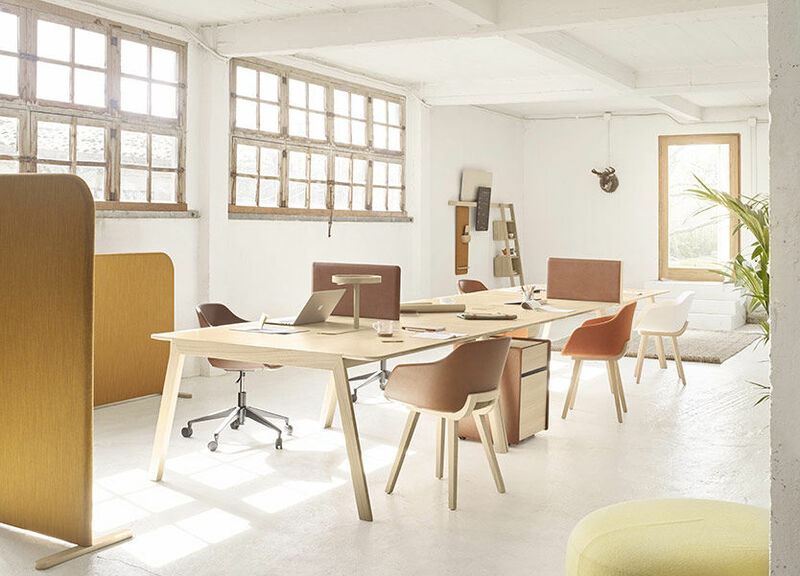 The oak and leather finishings echo the realm of a traditional office.